The RJ Boyle collection by Robert Pelliccia is for the serious angler. 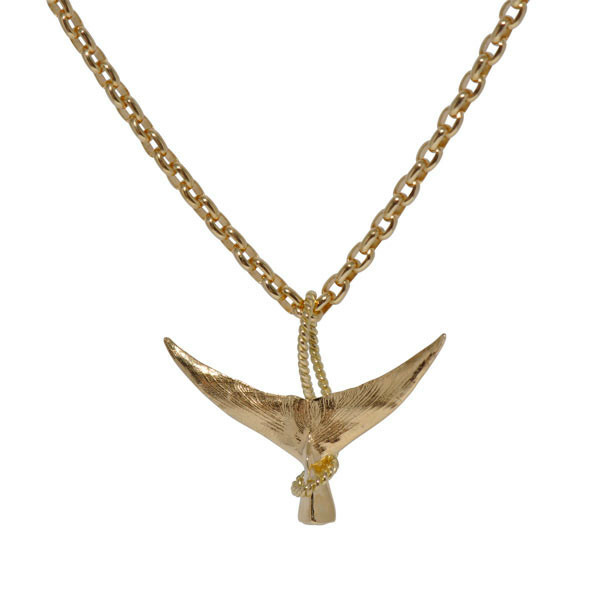 A swordfish tail pendant is forged in 18K yellow gold for a glimmer that shows off the intricate details of the piece, and a sculpted fishing rope adds a special touch to a rustic look. Float this stellar piece along a chain of your choice (sold separately) for a Robert Pelliccia exclusive that is bound to drive the fishmongers crazy!